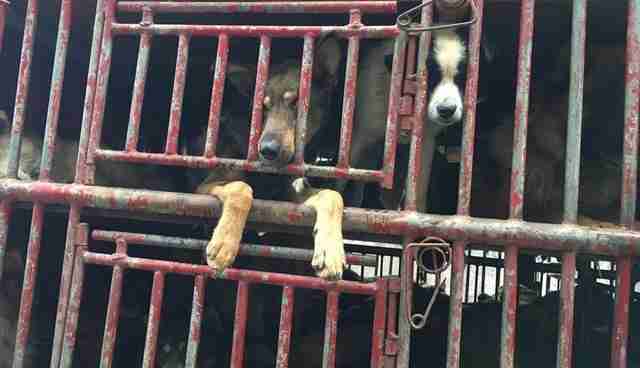 Last Saturday, more than 300 dogs were hidden inside a massive truck on its way to the Jilin province, the home of China's second largest dog meat market. Many were stolen pets. For more than 10 hours, the dogs sat in the blistering heat, hungry, dirty and in discomfort. They were fated to meet their ends through a butcher's knife - but animal advocates rose to the challenge of tracking down the truck and getting authorities involved, successfully saving the life of every single dog. For one of the rescued dogs, she wouldn't have simply lost her own life if she had made it to Jilin - but the lives of the little ones inside of her as well. 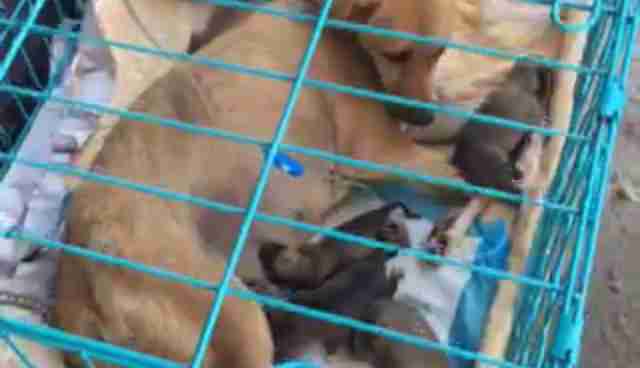 "As our Chinese partner group activists were unloading over 300 rescued dogs from a truck bound for slaughter, a mama dog gave birth to four healthy puppies," Humane Society International (HSI) wrote on Facebook. 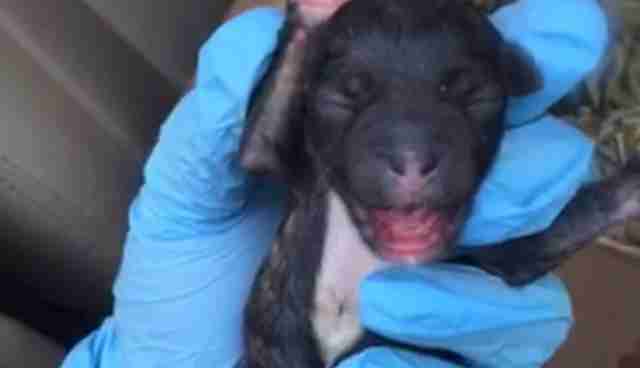 "Thanks to the quick rescue efforts of our activists, the mama and pups are now safe and receiving the best vet care possible." 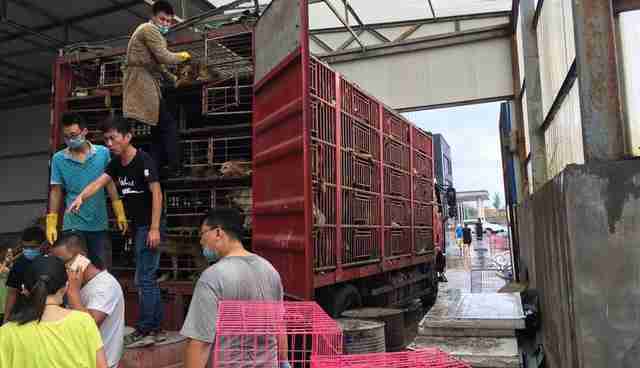 When the truck filled with dogs - which was ultimately stopped in the Liaoning province - was spotted on the road, word was spread to Chinese animal advocates through WeChat, a popular texting and calling app. From there, it was a race against time to keep up with the truck until it could be stopped by both police officers and advocates from China Animal Protection Power (CAPP), a coalition of Chinese groups fighting the dog meat industry founded with the assistance of HSI. 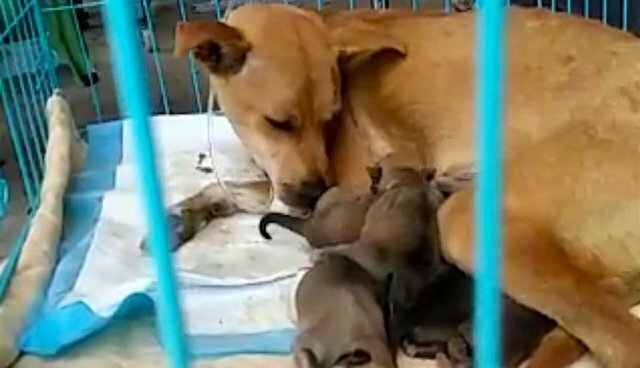 "There were four mother dogs and all are now in animal hospitals with their puppies," Peter Li, Chinese policy specialist with HSI, told The Dodo. 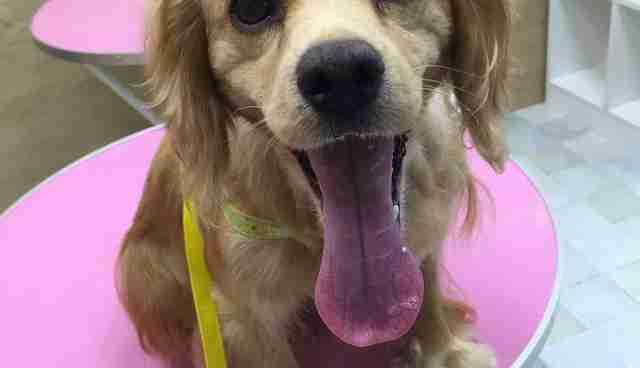 "The 320 dogs are being accepted into different facilities. Our Chinese partner group VShine has taken in 30 of them to their facility in Dalian. Groups in other cities are also accepting them before offering them for adoption when they are ready to be adopted," he said. Want to help HSI continue doing good work for animals in need? Consider making a donation here.